Much like Los Angeles and New York, Washington, DC is one of those cities where it seems like everyone is from someplace else. Fortunately, we know you’ll feel at home at Cathedral Commons, no matter where you’re coming from. Before you know it, tourists will be asking you for directions around the District! Welcome to life as a Washington, DC resident. 1. You walk on the left, stand on the right. Heading up and down the Metro escalators, especially the epically long ones at the Dupont and Woodley Park stops, you always abide by this unspoken rule. You can identify a tourist because he stands on the left, blocking the path of commuters rushing to work. Someone will surely correct him quickly. 2. You think Georgetown Cupcakes is overrated. This DC hotspot has a long line down the block on a daily basis. You know that instead of waiting, you can head to the Curbside Cupcakes food truck (you probably love their sweet potato cupcakes), Baked & Wired, or Red Velvet Cupcakery. Sometimes you say you’re “headed to the Metro.” Other times, you’re “just getting onto the train.” But you’re never “taking the subway,” unless you’re in New York. 4. 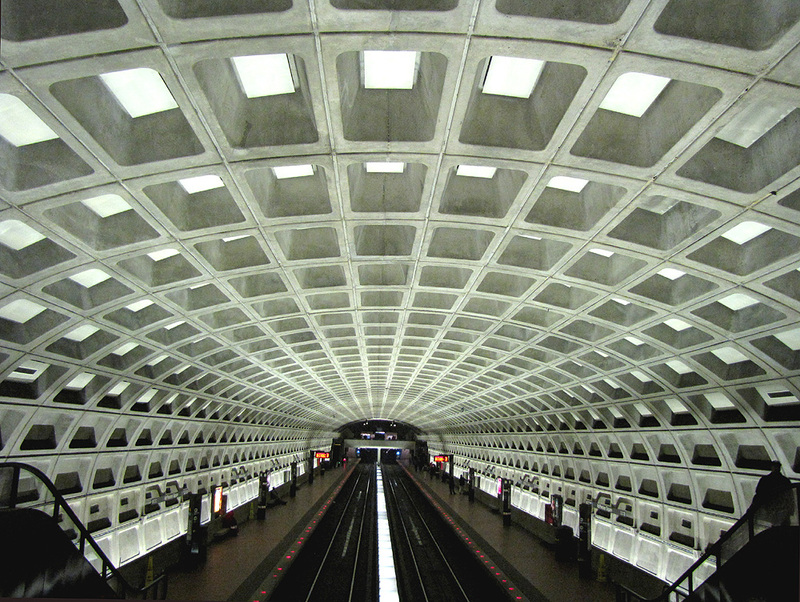 You watch House of Cards hoping they’ll make up a Metro station again. Sure, you watch House of Cards because it’s a good show, but you also love seeing parts of your city (and parts of Baltimore pretending to be Washington, DC). You’re also just waiting for them to make up a Metro station like Cathedral Heights again. 5. You know how to spend a whole weekend doing fun things for free. You go to Yoga on the Mall during DC Yoga Week in May. When friends are visiting their favorite Washington, DC resident, you take them to at least one of the Smithsonian Museums. Friday nights in the summer, you head to Jazz in the Garden for a Trader Joe’s picnic dinner with friends. 6. Happy hour and brunch are your two most important “meals” of the week. You grab drinks at Off the Record almost nightly, either with coworkers or important business associates, to gossip, work, or both. On weekends, you love to frequent Chef Geoff’s, a DC’ite brunch favorite. 7. Jaywalking gets you to work on time, every time. Except when there’s a motorcade. Curbs are for tourists! As long as the coast is clear, you don’t really care if the “walk” signal is lit. You’re usually joined by a bevy of other commuters in your jaywalking, much to the horror of out-of-towners from more laid-back parts of the country. The only time you don’t dare to jaywalk is when you see a row of black cars and police cars escorting the President, or a visiting dignitary, through an intersection. 8. You follow a wide variety of food trucks on Twitter, and stalk them at lunchtime. You work hard all day, and lunch outside is a perfect break. You also love that the trucks have fresh food, served quickly. You’re willing to stand in line for pho, lobster rolls, or Korean tacos, depending on which trucks are near your office that day. 9. You know at least one person who works on The Hill. Even if you don’t work in politics, you know someone who does. That is the industry of the town, after all. Most people at least get their start on Capitol Hill, working in the office of a Congressman or Senator before they pursue their own electoral ambitions. When your friend from Virginia comes to meet you for dinner at Raku, your Washington, DC resident friends pepper him with questions: How far out do you live? How long did it take you to get here? Do you work there, too? What’s the weather like over there? Ok, that last one might be a stretch. Virginia is, after all, usually no more than 10 minutes away by car. Still, with everything you need close by, you rarely need to venture across the bridge. The number one way you know you’re a DC’ite? You know Cathedral Commons is one of your best options for luxury living in the city. Call us (877.289.5833) or contact us online today so you can call the Commons home!